With a colour touchscreen including Bluetooth® and DAB+ radio as standard, the Caddy puts you in control. Cutting-edge design includes an integrated roof spoiler plus full-width, multi-spoke wheel covers and body-coloured bumpers, mirrors and door handles on the Trendline model. With improved interior sounding-proofing and loads of storage space, you can drive your Caddy in comfort. 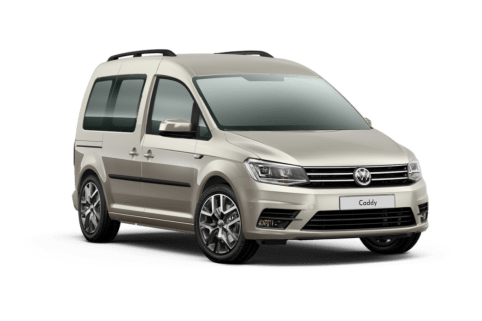 The Caddy comes in 3 trim levels, Startline, Trendline and Highline, but all provide ABS, front and curtain airbags, automatic post-collision braking, electronic stability control and loads of other safety features as standard to protect you and your load. 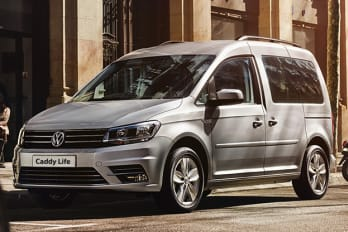 Safety specification like automatic hazard light activation under emergency braking and traction control sets the Caddy apart and makes your drive and your life easier. 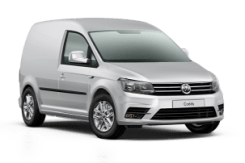 The Caddy is available with the next generation of TSI petrol and TDI diesel engines which meet Euro 6 emissions standards. All models use BlueMotion Technology with features like Start/Stop, regenerative braking and hill hold assist giving you more control and lower running costs. With 6 engines ranging from 75ps to 150ps, there’s a Caddy that’s perfectly powered for you. Based on 4 years, 10,000 mile per annum non-maintained Contract Hire agreement*. At Sytner Group we employ finance specialists in every dealership, who can advise on a variety of funding solutions for your next Volkswagen vehicle. 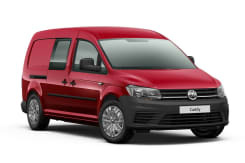 It may surprise you to learn Volkswagen Vans are also available on the Motability Scheme. Allowing you to exchange your mobility allowance to lease a new vehicle every 3 years, the Motability scheme helps you to become more mobile and independent. To view our current Motability offers, please click on the link below. Love your Volkswagen and make it truly yours. Choose from a wide selection of extras that make your van look superior, last longer, perform better, give you more enjoyment or make life easier. Optional extras are available to enhance your Amarok, Caddy, California, Caravelle, Crafter or Transporter. *No ownership option. Contract Hire agreement. All offers are subject to a 48-month long agreement. Excess mileage charges apply and fair wear and tear charges may apply. Business users only. All prices exclude VAT. VAT payable at 20%. 18s+. Subject to availability and status. Terms and Conditions apply. Offer available for vehicles ordered by 30/06/2019 from participating Van Centres. Indemnities may be required. Offers are not available in conjunction with any other offer and may be varied or withdrawn at any time. Accurate at time of publication [04/2019]. 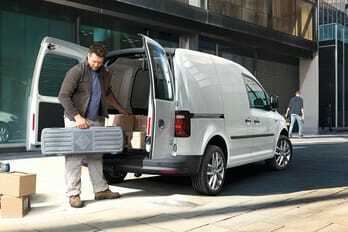 Freepost Volkswagen Commercial Vehicle Financial Services. Goodman Retail Limited is directly authorised by the FCA for brokerage and are not the lender. Our Firm Reference Number (FRN) is 677629. Details of this and our trading names can be checked via the FCA consumer credit register. All finance is subject to status and available to over 18s in the UK only (excluding the Channel Islands). Guarantees and indemnities may be required. We are not an independent financial advisor. We can introduce you to a limited number of lenders to assist your purchase, who may pay us for introducing you to them. We can arrange finance for you. Advertised finance is provided by Volkswagen Financial Services. Whilst we have close links with VWFS and commonly introduced customers to VWFS, we do not work exclusively with VWFS.